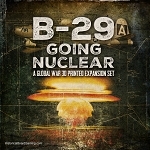 This set features a number of new ordnance for use with Global War -2nd edition. 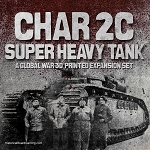 This set introduces a new concept to Global War – the idea that players can spend more IPPs for advanced ordnance, which they then expend to improve their outcomes in combat. Ordnance can improve combat values, improve the ability to select targets and in some cases give units abilities they don’t have, like being able to hunt IPPs on convoy lines. But be careful – Ordnance is expensive and its cost adds up. Most of the ordnance in this set relies on players to have, or at least have started research on advanced technologies which adds additional time and cost. 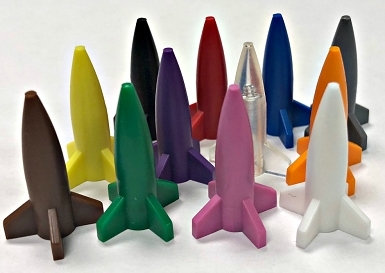 But after all, there’s nothing quite like dropping a T-12 cloud maker on your opponents during a game of Global War. 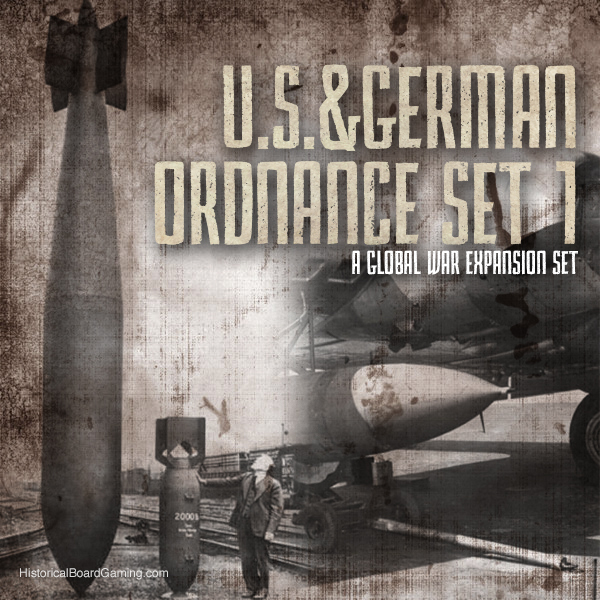 This expansion gives that extra punch to your German or U.S. forces. Highly recommended.